All our stores offer a friendly, professional service with experienced consultants, in private, comfortable surroundings. We will strive to exceed your expectations, ensuring every Bride has the best experience, as we want choosing your gown to be an adventure you’ll remember fondly. Our collection of exquisite gowns is mix of contemporary, classic and vintage styles at realistic prices, which we hope will ensure you will be certain to find the perfect wedding gown for your special day. 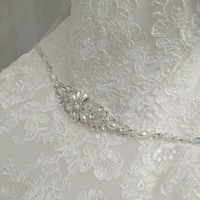 Our aim is that you leave our Boutique happy, relaxed, and confident that you have chosen the gown of your dreams.